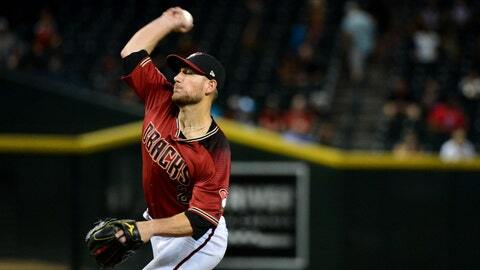 PHOENIX — Wil Myers homered for the fourth time in two days, connecting in the 16th inning off Arizona Diamondbacks catcher Jeff Mathis to send the San Diego Padres to a 4-3 victory Sunday. After failing to execute a third-inning sacrifice that turned into a fielder’s choice, he went to second on a hit-by-pitch and stole third base, taking over the major league lead for steals by a pitcher with his third of the season. Greinke’s three stolen bases is a season record for a Diamondbacks pitcher. Arizona’s A.J. Pollock was ejected for the second time in his career in the fifth after arguing a called third strike. The Padres tied it at 3 on pinch-hitter Jose Pirela‘s two-out single in the sixth to drive in Margot. 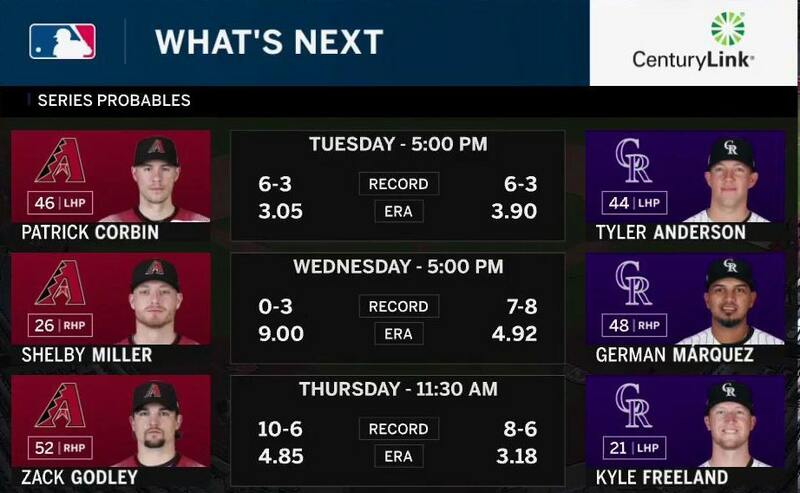 Diamondbacks RHP Clay Buchholz (oblique strain) is scheduled for a bullpen session Tuesday. After a day off, Arizona opens a three-game series Tuesday at Colorado with Corbin (6-3) scheduled to pitch the opener.